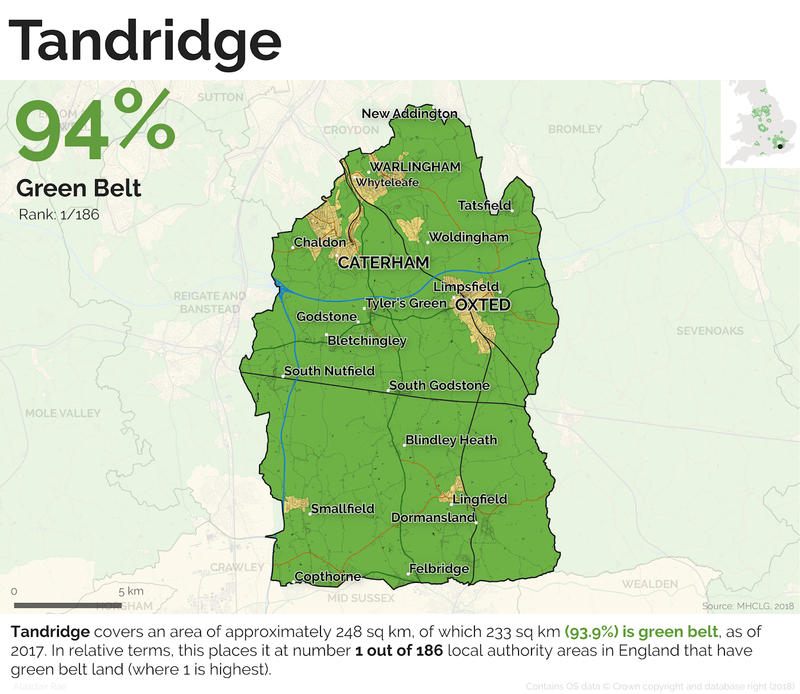 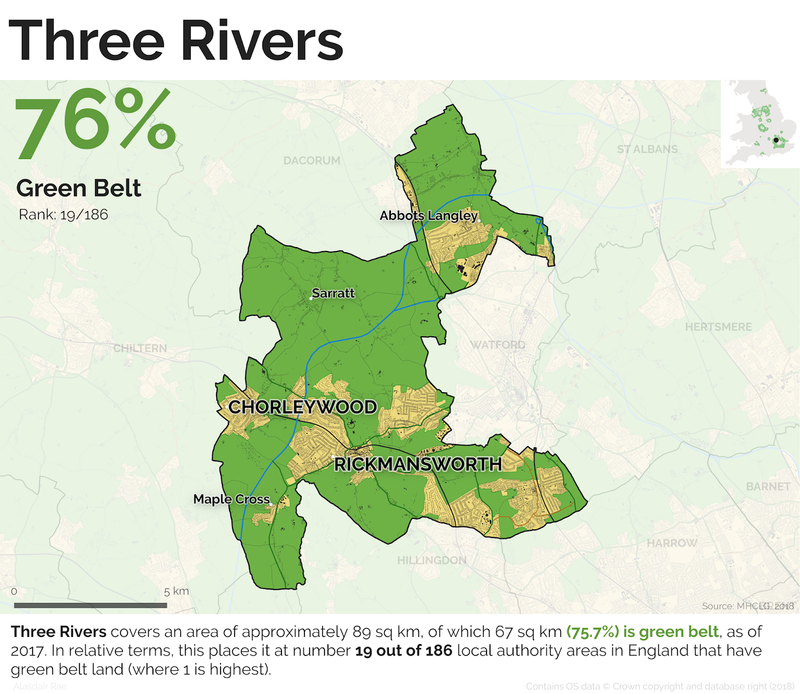 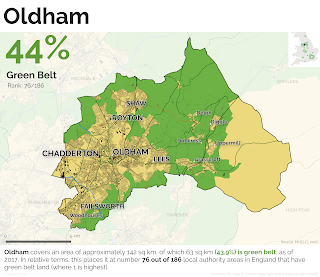 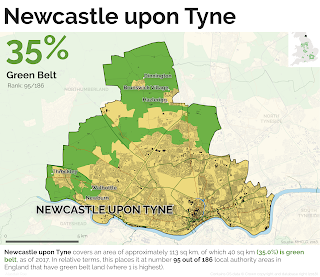 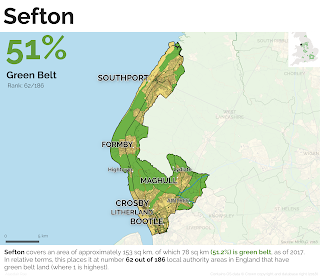 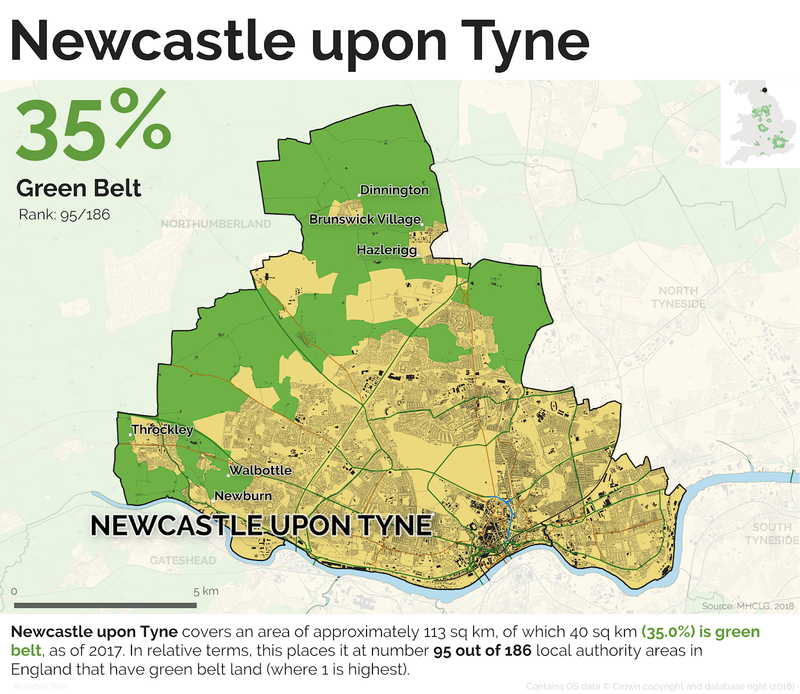 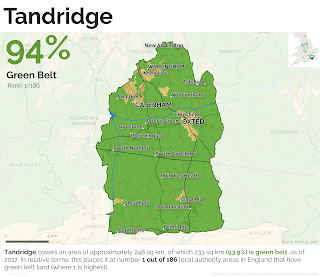 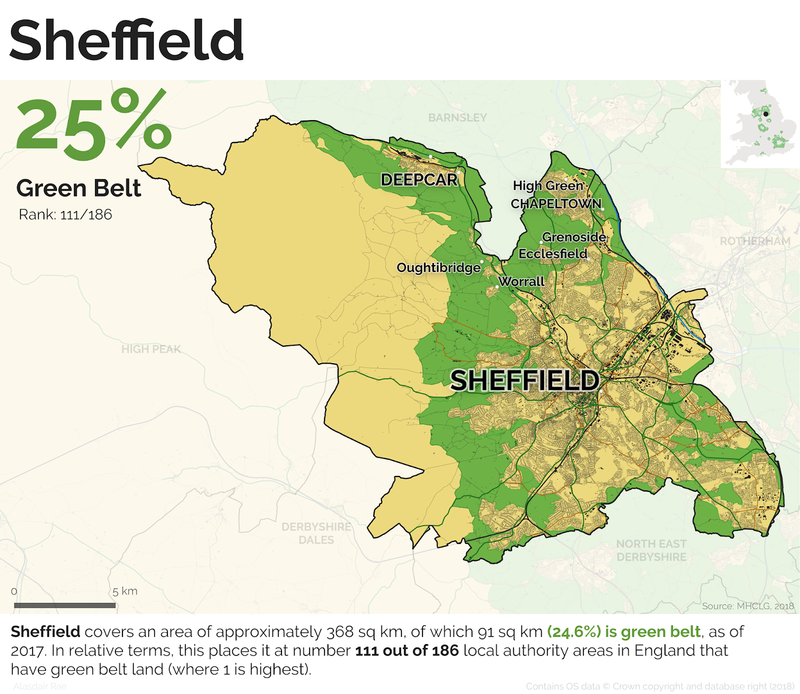 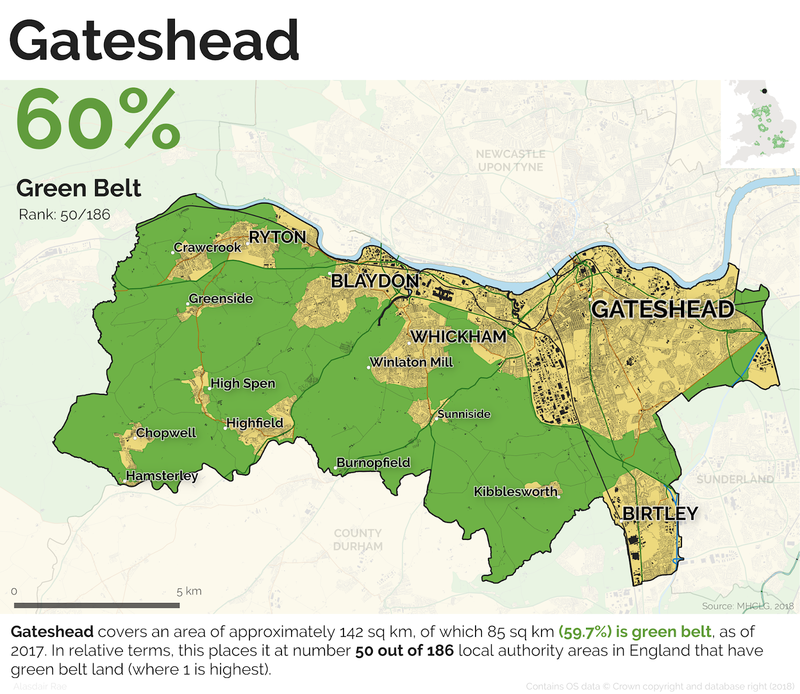 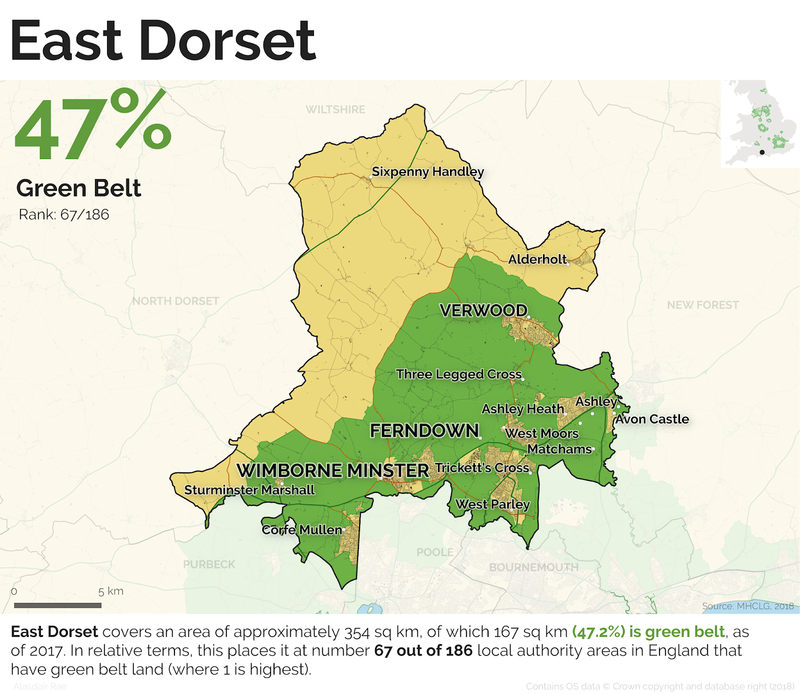 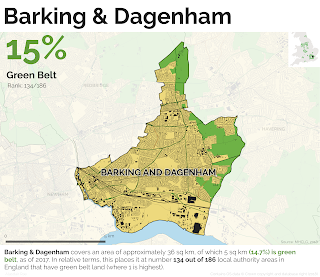 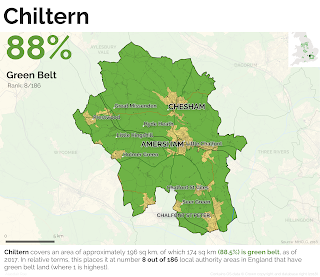 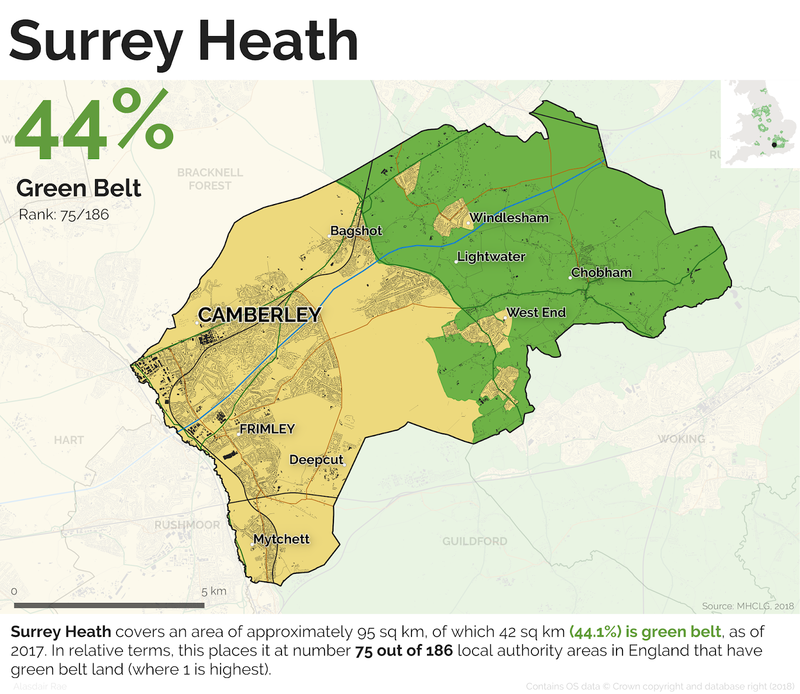 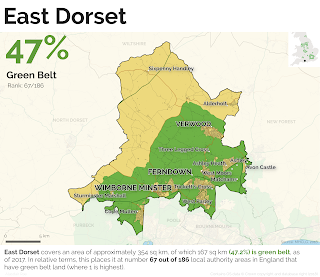 This is a short post about an updated version of my Green Belt Atlas, in which I've produced a map of every local authority in England that contains land designated as green belt. 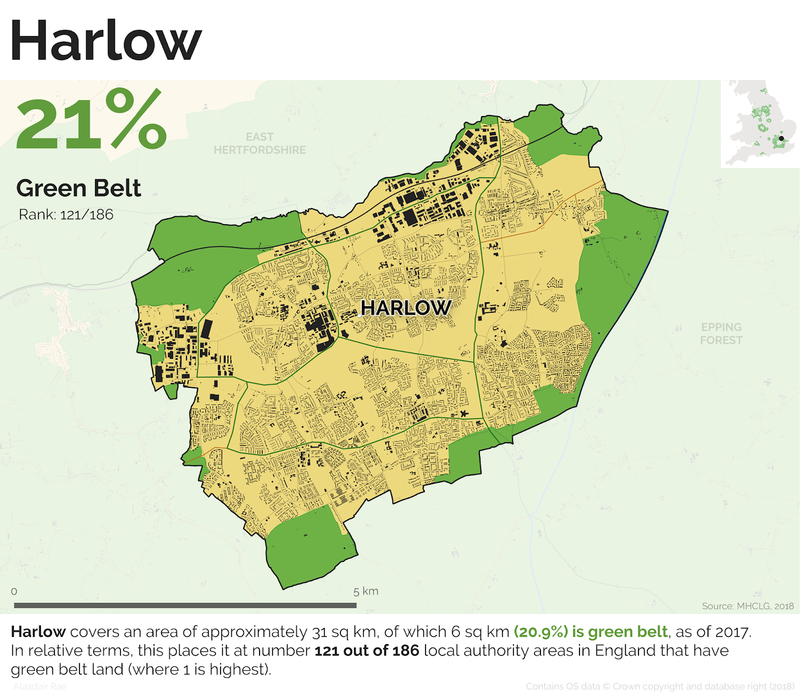 The original idea for this came from GIS guru Bob Barr a couple of years ago and there have been a few versions so far but this one uses the latest data and includes some new features and improvements. 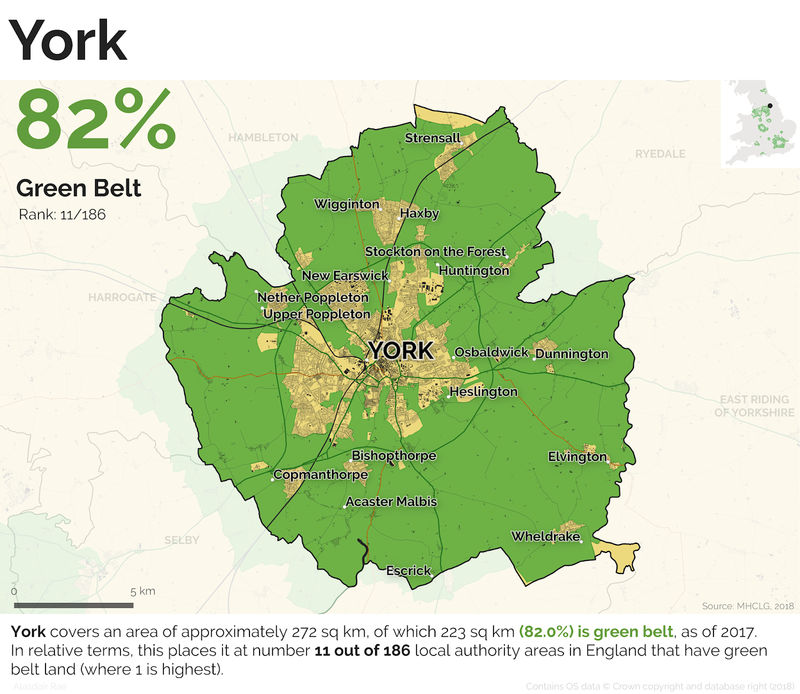 Here's a sample map, for York. 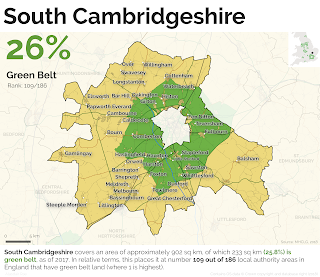 I'm going to do a follow-up post about some of the technical stuff. 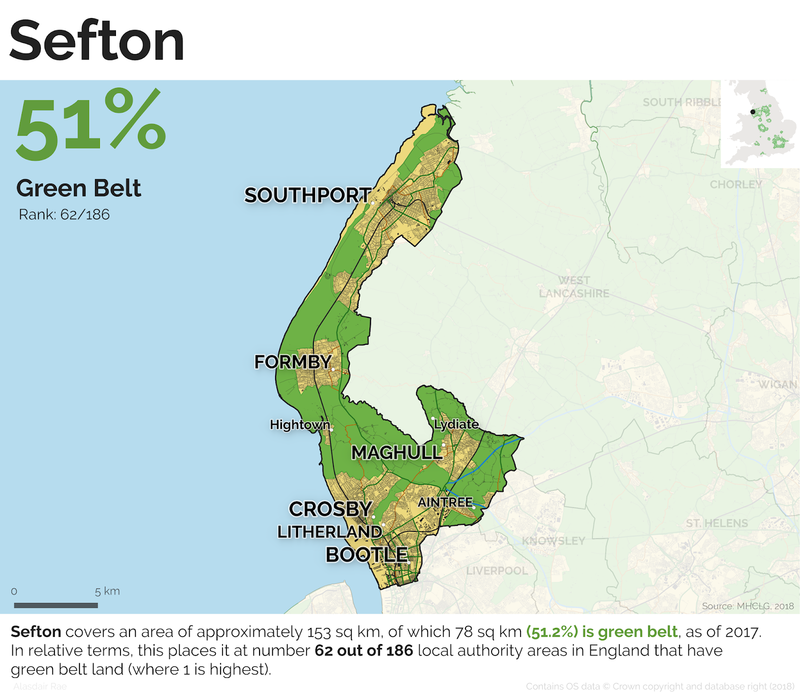 I have put all 186 local authority maps in a public folder, so you can check that out if you're interested. 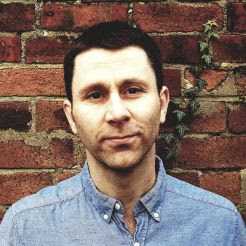 I'll post a selection here as well. 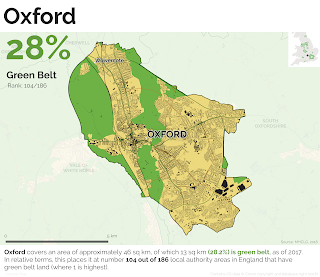 If you want to find out more about green belts and their history, I'd recommend reading John Grindrod's Outskirts. 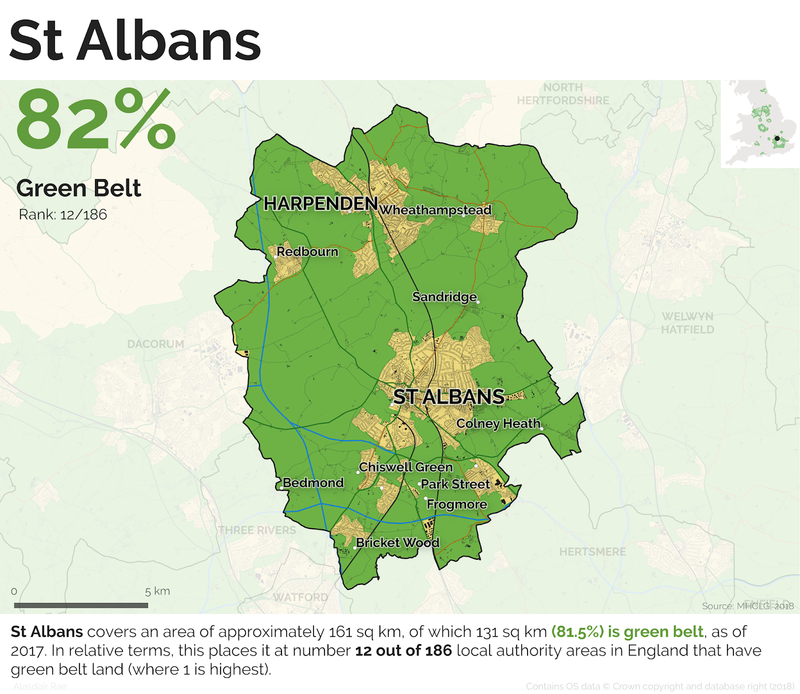 This version of the Atlas is, I think, an improvement on previous ones I've produced. 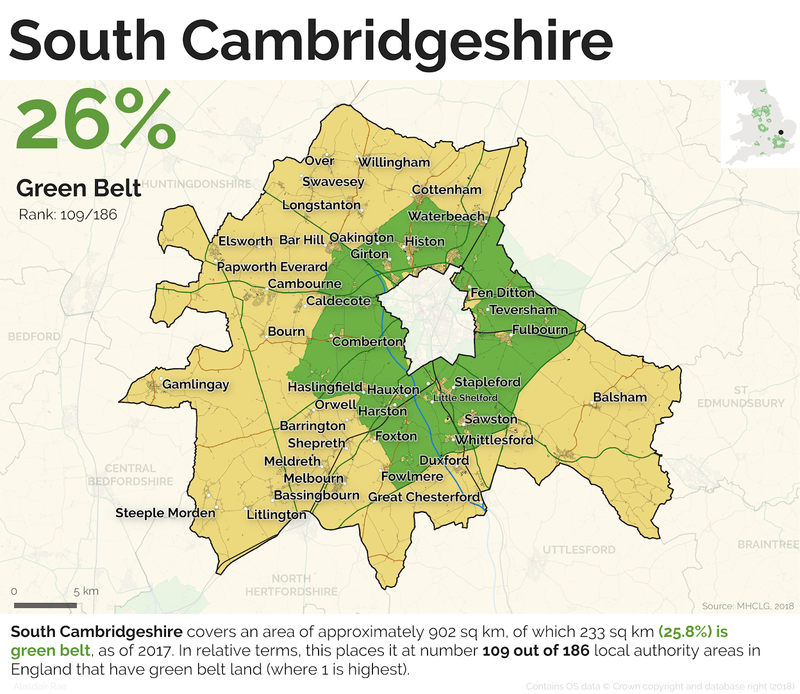 I'll cover more of the technical details and design choices in the next blog post but for now I'm just posting the maps, and a bit of summary data. 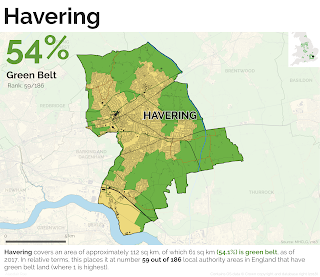 The reason I have done this is because I'm interested in land use, land cover and suchlike, and I know others are too. 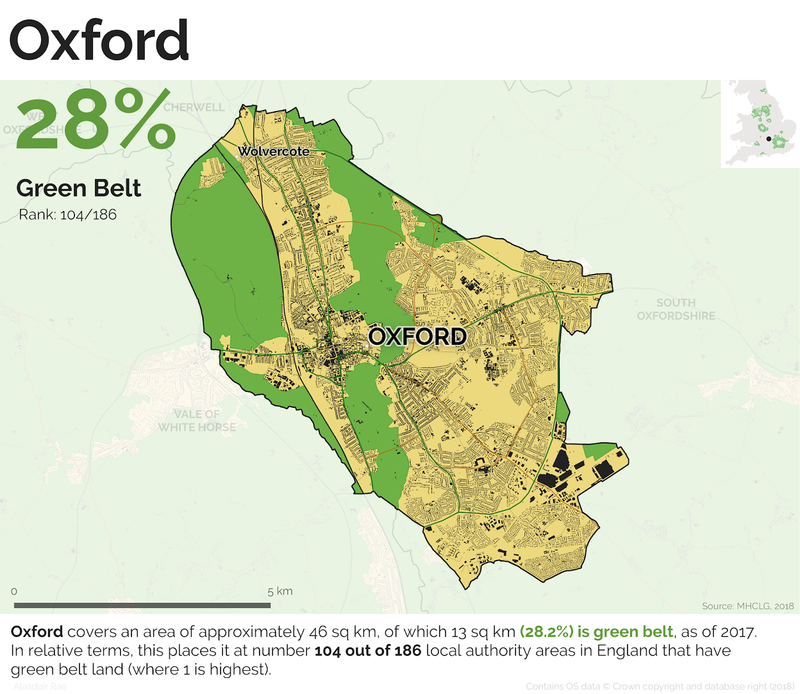 This version of the Atlas uses the latest data (2016-17 green belt boundaries), which you can find on data.gov.uk, along with data for previous years. 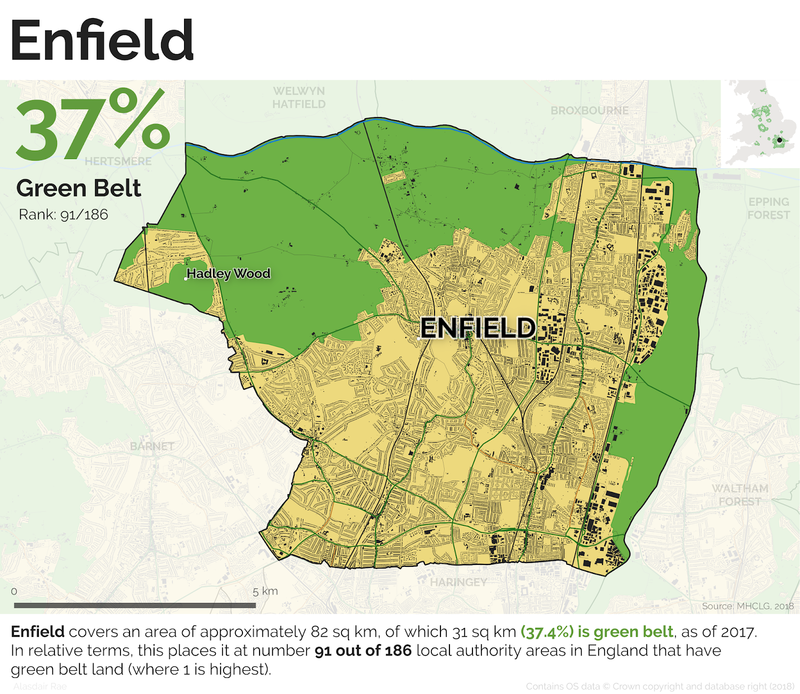 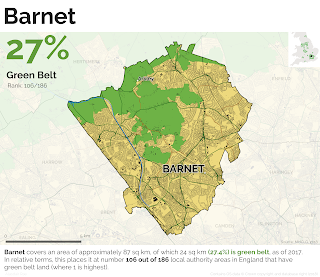 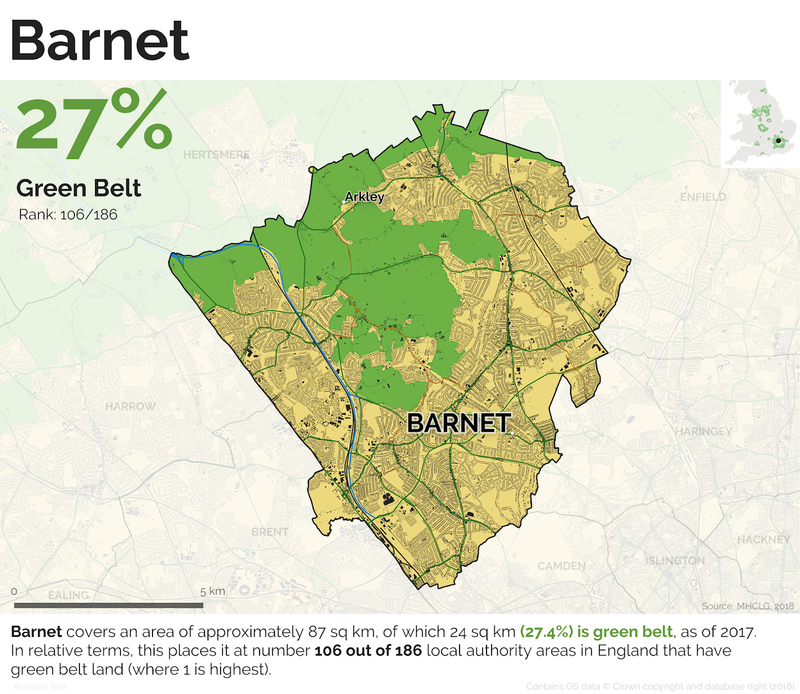 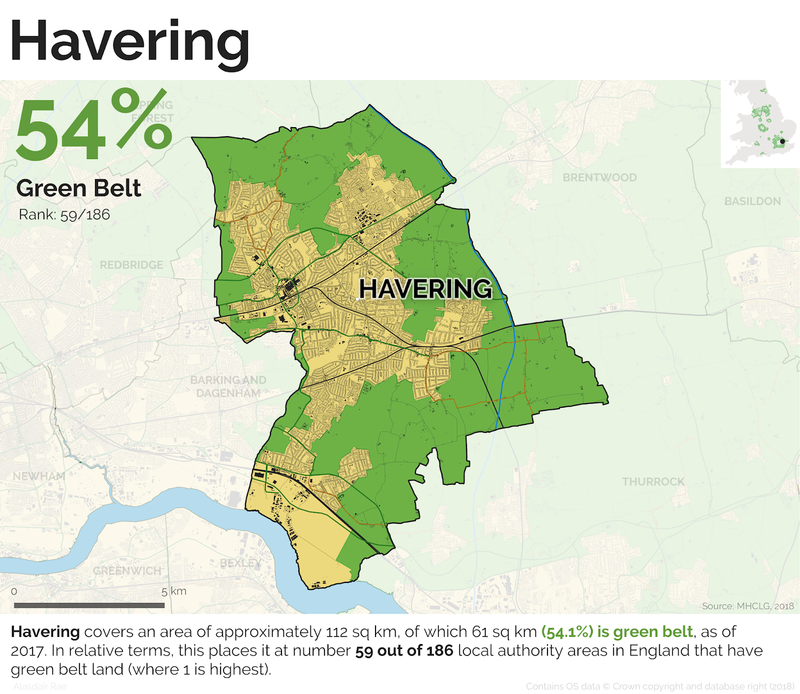 Here are a few green belt maps from the full set, just click an image to enlarge, or go to the full set if you want a high resolution download. 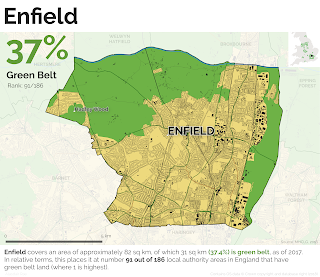 Green areas are land designated as green belt, and I've also shown buildings, roads, railways and I've added some place names. 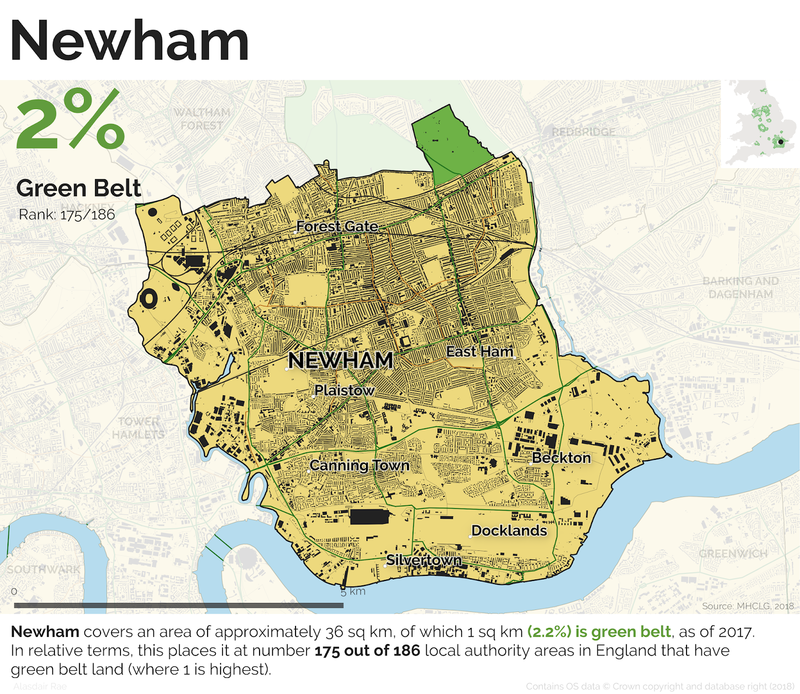 A summary datasheet for all 186 areas can be found here as well as at the bottom of the page.